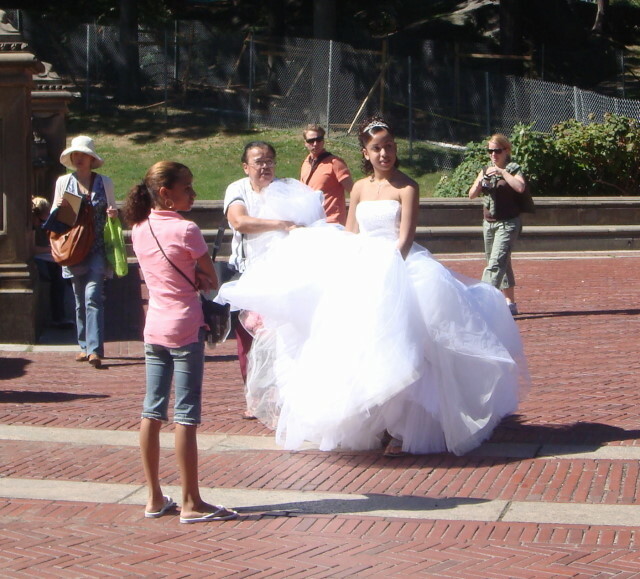 If you’re in Central Park on any weekend with wonderful weather, prepare to run into the Brides! 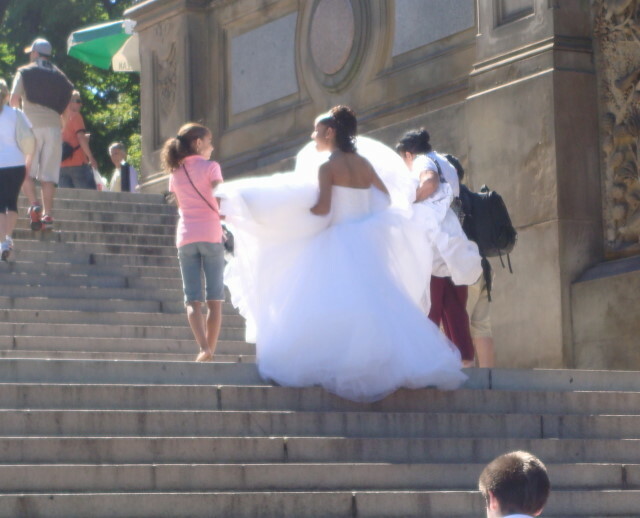 If you’re at Bethesda Fountain and don’t see a Bride, you ain’t lookin’. 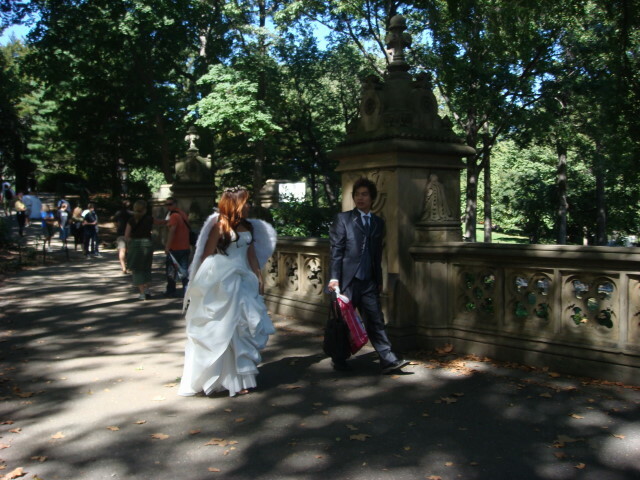 Okay, it’s a wild exaggeration but bridal couples, and often just the bride, can be seen actually dashing from one area in Central Park to another with one or more photographers and family to catch the light and the just-right background for a shot. And there are few places more photogenic than the fountain. 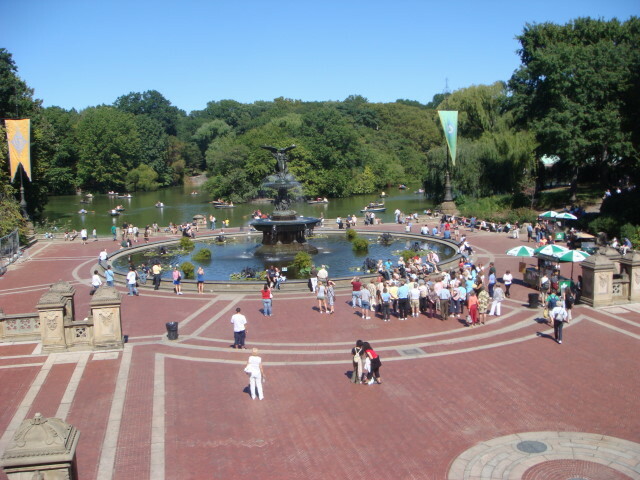 As you can see, a wonderful open area called, I believe, the Naval Terrace, leading to the Bethesda Fountain which is just a few yards from a nice lake. Brides seem to love it. I’m sure she was having a great time. She certainly was the center of attention of a whole lot of us for a few minutes. Here’s another, somewhat tighter shot of the fountain. 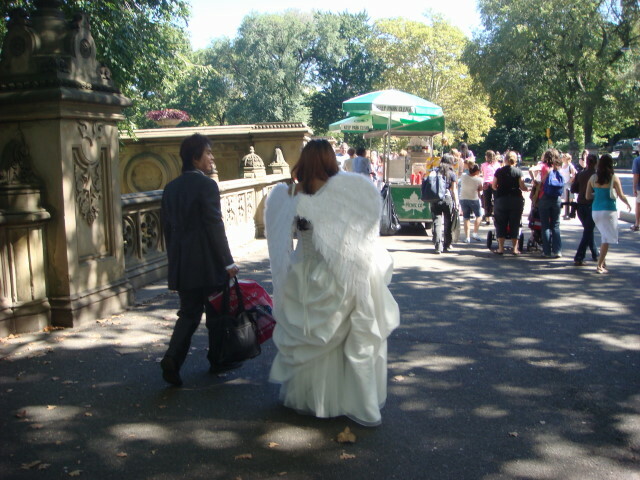 Oh, as I was heading out I saw a verifiable Bride and Groom in somewhat unusual regalia. Here’s the front shot of them walking up toward me. I noticed the Bride had a gown that wasn’t standard garb…here’s the back shot…. Angel wings. Hey, it is her day so who can/would say anything about it? Actually, the New Yorker in me loves that sort of individuality. Good for her. 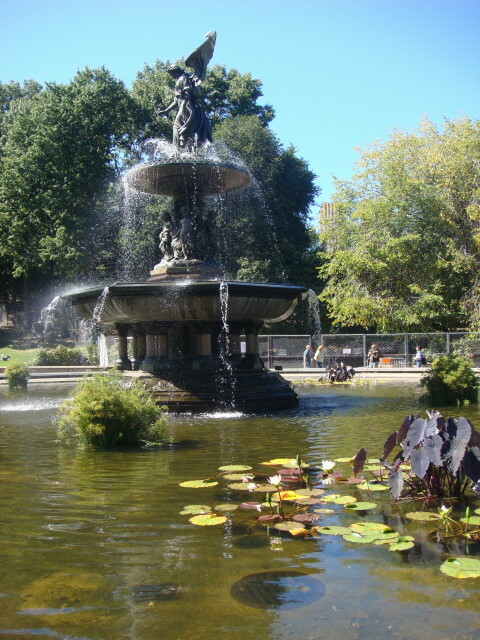 This entry was posted on October 2, 2007 at 7:41 pm and is filed under Central Park, Manhattan, Wanderings. You can subscribe via RSS 2.0 feed to this post's comments. You can comment below, or link to this permanent URL from your own site. as i want enjoyment, as this this site conations really nice funny data too. Have you ever thought about writing an ebook or guest authoring on other blogs? I have a blog based on the same topics you discuss and would love to have you share some stories/information. I know my readers would value your work. If you are even remotely interested, feel free to shoot me an email.